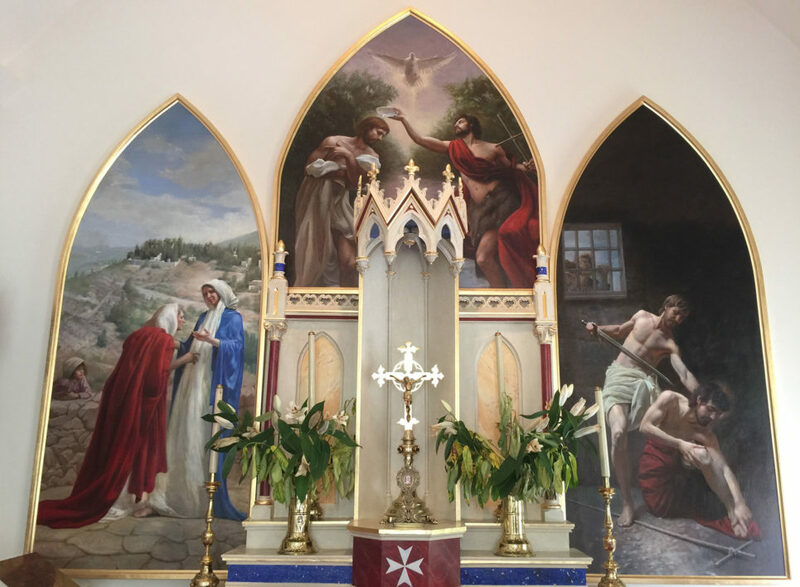 This alter piece was designed to emphasise the Real Presence of the Blessed Sacrament by leading the eye via the linear perspective of each of the compositions to the central position where the tabernacle is to be located. The other primary protagonist in each of the three compositions is the Holy Spirit as He is the supernatural light source for each. This work was done in collaboration with the painters Adam Miller and Robert Zeller in the final rendering.